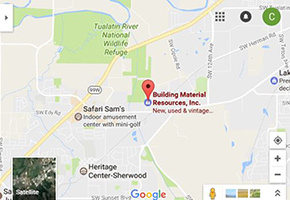 At BMR (Building Material Resources) our goal is to get you all the material you need and want at the lowest possible prices. More than just a Window! From Cedar Decking and fence boards to Deck and fencing screws, Interior and exterior doors by the 1000’s in our huge warehouse, mill work and dimensional wood in MDF plus CVG Douglas Fir / Hemlock / Red and Yellow Cedar, Door accessories and hardware, Barn doors and industrial rollers plus so much more discounted building material you have to see it to believe it. Quality Vinyl Patio Sliders in stock or custom order your special size at a discounted price! double Insulated glass white vinyl. Contact us for low E, grids and argon filled upgrade. $352.58 Patio Slider 60″wide X 80″ High, actual size 1/2″ under. $380.80 Patio Slider 72″ wide X 80″ High, actual size 1/2″ under. Remember, special sizes and features are available in Doors and Windows ready in about 10 days you pick up in Tualatin. These Stock doors and windows do sell quickly, so call first as our next shipment is sometimes late. Olivia, Stefan and Daniel plus our dedicated caring crew invite you to visit us to save substantial money on your current and future projects. A BIG Thanks to our loyal repeat customers that have made the last 10 years a HUGE blessing to you and us.